Padmasana, or Lotus pose, is one of the most desired postures in any yoga practice. Students who want to move towards meditation practices wish they could do so in Padmasana, like it's portrayed by pictures of sages, saints and great teachers such as Acharya Krishnamacharya. Lotus is so desired that often students hurt themselves in the attempt of performing this posture. Usually, with Lotus, it's not about trying hard, but moving with patience and understanding of how the body works, especially the relationship between hips, knees and ankles. If Padmasana is a difficult place to be right now, I have some postures that could help you prepare for it. It's important to remember that, as with any other postures in Yoga, you must breath and keep the body nicely engaged to create the desired effect. I remember the beginnings of my practice: tight hips, painful ankles, unhappy knees… I could barely sit in a cross leg position on the floor. 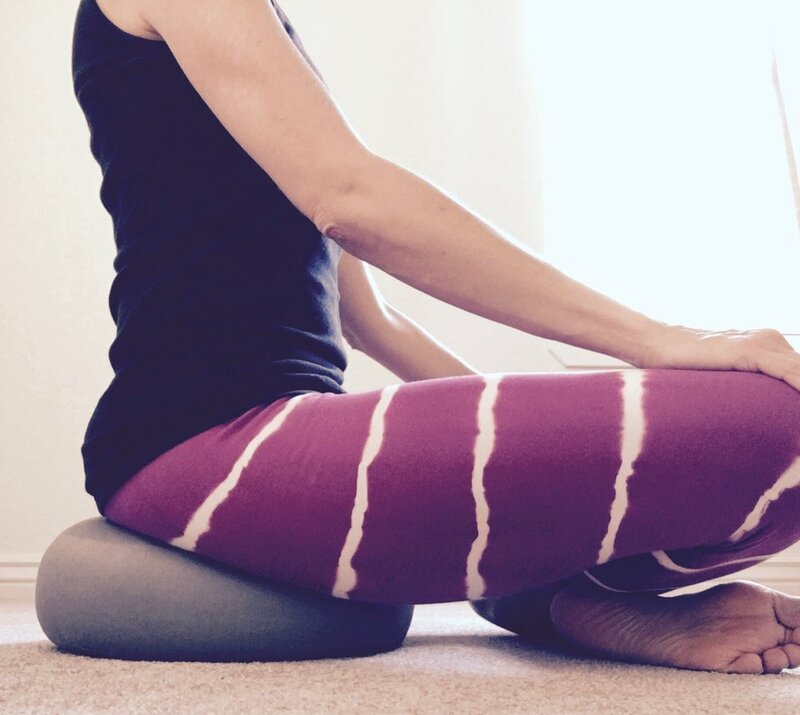 During my first meditation experience I sat on two pillows and a yoga block to get the necessary height for my hips and knees to find alignment. That is my first suggestion for those who suffer when sitting on the floor crossed leg… find a firm prop that will lift your hips enough that, when you cross your legs, the knees stay downwards. If the knees move upwards, then your back rounds and the hip flexors hurt. That is the first modification. Once the hips feel more open, attempt Sukkasana, or easy posture. In this variation, the right foot is in front of the left, soles of the feet turned somewhat up in preparation for that ankle rotation needed in lotus. 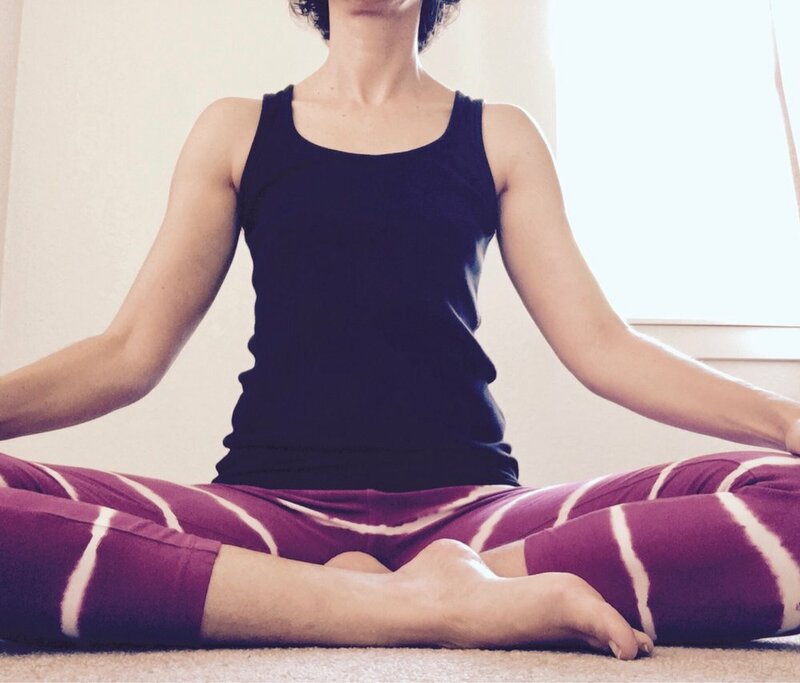 This is a wonderful, steady variation that can be used instead of Padmasana for meditation. Most people can stay here for longer periods of time, enjoying all the benefits of this posture. A small rolled blanket or towel can help you find a nice placement for the hips in Sukkasana, if all you need is a little lift. In this case, the sitting bones remain on the floor and the blanket is positioned under the tail bone. This helps the spine to remain long and tall without straining the back. The next practice is to attempt Ardha Padmasana, half Lotus posture. You can also use the folded blanket in this variation as well. Try to remain in this posture for a count of 10 or 15 breaths, than change sides so you can work both sides of the body. Remember to never force your knee down in this variation, always let the body move with the breath. Never use force to get into a posture! It tones the coccygeal and sacral nerves, and it stimulates digestion. You can achieve success by practicing a little everyday, without pushing your body into a place it's not ready to be yet. Always practice with love in your heart… and ask your teachers to help you. We're here for you!